Wooohooooo=we hope your weekend will be as fun as ours! I am very thankful for my sweet, beautiful Calle=my Buddha kitty! 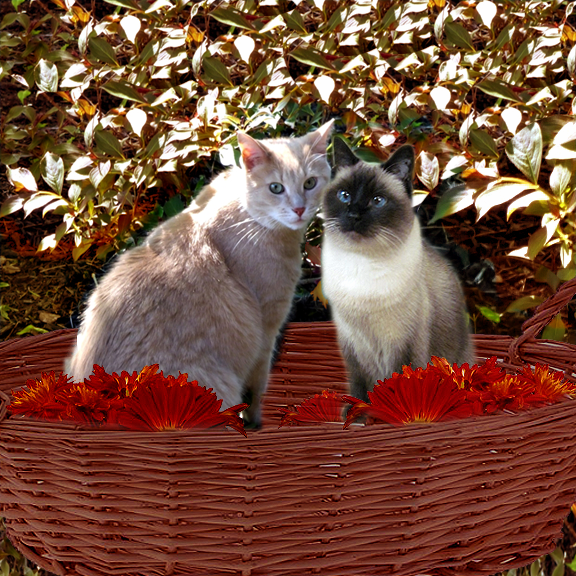 Halle And Dylan Welcome Autumn! Watching Summer leave us...Enjoy the weekend, friends! Mommy Cat and Daddy Cat are very happy to relax together in the house. The girls like to hang out in Mommy Cat and Daddy Cat's garage apartment. Daddy Cat loves the scratcher and was very excited to discover this one in the cat room, just like the one in his garage apartment. Happy 14th Birthday, Mommy Cat! !